t was with great sadness that we reported our friend and former colleague Dr Brian Stowell had passed away on Friday at the age of 82. Brian was part of the Manx Radio family for many years. He contributed to a number of our programmes and was best known for co-presenting the weekly “Moghrey Jedoonee” programme for nearly twenty years, a role he stood down from just over a year ago. Brian was extremely popular with our audience. Every week he provided informative and entertaining content that brought the sound of Manx Gaelic to our listeners. And for those that worked with him, we got to enjoy his very warm sense of humour. For a number of years he also contributed the Manx Gaelic translations of Isle of Man news stories for our website. It’s impossible to summarise Brian’s work over the years in just a few sentences. 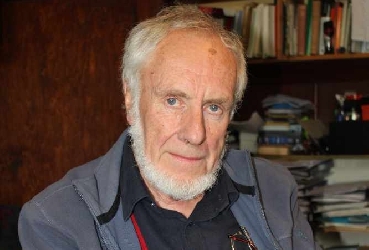 However, many people have said his enormous contribution to the promotion of Manx language, heritage and culture is unrivalled – and he’ll be sorely missed. All of us here at Manx Radio send our thoughts and sincere condolences to his family and friends. Here's Brian from an edition of "Mogrey Jedoonee" in 2016 reading a short story in both Manx and English.